MCCLENDON, R. A. 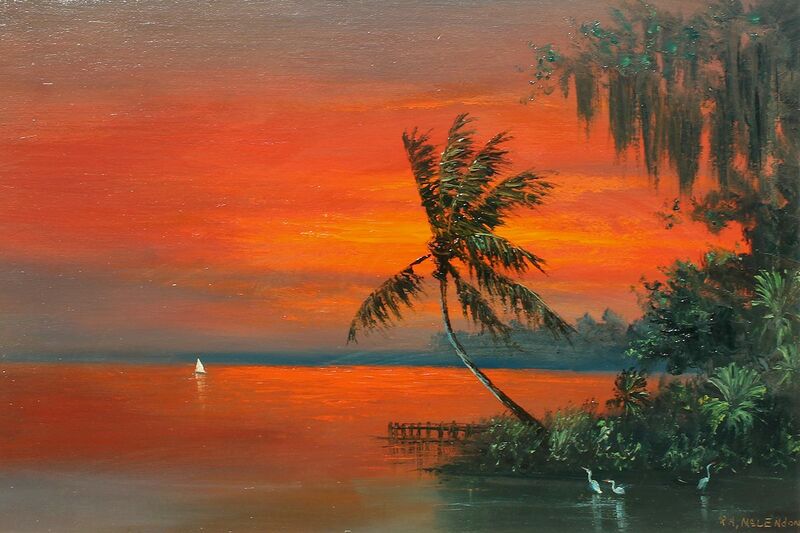 (Roy), (American, 20th Century): Florida Highwaymen fire sky Indian River scene with sailboat in the distance, Oil/Upson, signed lower right, 24'' x 36'', framed 37 3/4'' x 39 3/4''. CONDITION: Several scattered abrasions, visible in raking light, no missing paint, sold as is.